Which Premium Airline Card Is Right for You? Which Premium Airline Card Is Right for You: AAdvantage Executive World Elite, Delta Reserve or United MileagePlus Club? American Airlines, Delta Air Lines and United all offer premium co-branded credit cards. If you often fly on those carriers, the cards can be very valuable and make your travel experience much more pleasant. At $450, the annual fee for these cards is quite hefty, but they come packed with benefits and perks. The best benefits include free lounge access, elite status qualifying miles and companion tickets. If you’re thinking about getting one of these cards, it’s worth investigating which ones have the best benefits before you pony up for the sizable annual fee. There’s a lot to cover since these premium travel cards come with so many benefits. Let’s take a more in-depth look at some of the best perks. 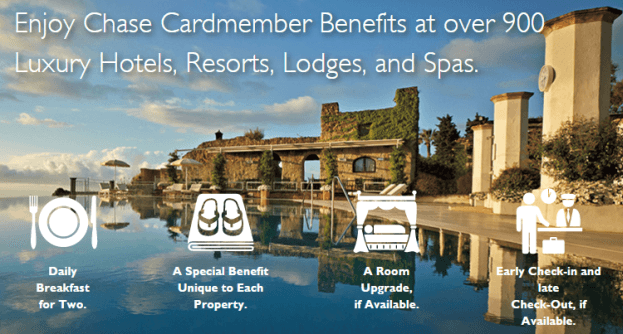 The AAdvantage Executive card has the best sign-up bonus, beating out the Delta Reserve card by 40,000 miles. You have to spend $5,000 in three months on the AAdvantage card to get the bonus, though. That works out $1,667 a month. With the Delta card you’ll get the sign-up bonus after your first purchase. More importantly, you’ll also get 10,000 Medallion Qualification Miles (MQMs) as part of the bonus. Those miles count towards elite status and are hard to earn on any airline. MQMs won’t get you free award tickets, but if you do get status, the benefits can be very valuable. The United MileagePlus Club card offers very little for signing up. You’ll get a $100 statement credit with your first purchase. You’ll get the most out of these cards if you fly on the airlines they’re co-branded with. You can’t transfer the miles you earn to any other frequent flyer program, though you can book flights on partner airlines. With United MileagePlus, you’ll have access to the largest airline alliance in the world, the Star Alliance. Booking through United, you can use your MileagePlus miles to fly on 27 airlines around the world. Delta’s SkyTeam is the second largest with 20 members, followed by American’s oneworld alliance with 15 members. While there’s no doubt that you’ll have more options with the Star Alliance, all three alliances offer extensive worldwide networks that can get you almost anywhere. All of these cards offer double miles for purchases made with their respective airlines. At 1.5 miles per dollar spent, MileagePlus Club is the only card to offer more than one mile per dollar on other purchases. The United MileagePlus and AAdvantage cards come with full memberships to their airline’s lounges. That means you can get into any United Club or Admirals Club location no matter what airline you’re flying with. The Delta card, on the other hand, requires you to be flying on a Delta or Delta-coded flight to get into a Sky Club. With the MileagePlus and AAdvantage cards you’ll also get access to lounges run by some other carriers, including many airline alliance members. The Delta card gets you access to the Sky Clubs only. With 50 locations, most major airports will have a Sky Club, but many international destinations won’t. All of the cards allow you to take your immediate family and two guests into the lounge with you for free. One of the best perks of the Delta and AAdvantage cards is the ability to earn miles that count towards elite status. The Delta card has the better benefit, giving you 15,000 MQMs and SkyMiles if you spend $30,000 on your card in a calendar year. With the sign-up bonus, that’s enough MQMs for Silver status without ever leaving the ground. Plus, those bonuses are available every year, not just the first year you have the card. That makes the Delta Reserve card an excellent option for maintaining elite status and earning free flights. With the AAdvantage card, you’ll get 10,000 Elite Qualifying Miles (EQMs) every year that you spend at least $40,000 on the card. That’s a little less than half the EQMs you need to achieve Gold status with AAdvantage. It’s not as generous as Delta’s benefits, but it can still go a long way to earning and keeping status. The United Presidential Plus card, the predecessor to the MileagePlus Club card, allowed you to earn Premier Qualifying Miles (PQMs). Unfortunately, United ended this valuable benefit and you can no longer earn PQMs with any of their co-branded cards. The Delta card also comes with a valuable annual companion certificate. With this lucrative perk, you can get a free round-trip domestic ticket in first or coach for someone traveling with you. Depending on how you use it, this benefit alone can pay for the annual fee. The AAdvantage card is the only one to offer a statement credit for Global Entry or TSA PreCheck. That’s worth up to $100 every five years. You also get access to Reduced Mileage Awards, which can save you up to 7,500 miles roundtrip to qualifying destinations that change monthly. All of the cards give you priority boarding. Delta and American also offer in-flight discounts. United gives you two free checked bags instead of one. You’ll get the typical premium travel card benefits with any of these cards, including no foreign transaction fees, personal concierge service, a global assistance hotline, car rental loss and damage insurance, return and purchase protection, roadside assistance and travel accident insurance. The MileagePlus Club card comes with a few unique perks. You’ll get Platinum status with Hyatt, Elite status with Hertz and many perks with The Luxury Hotel & Resort Collection (LHRC). That’ll get you free upgrades, discounts and many other perks with Hyatt, Hertz and LHRC. These cards have a substantial $450 annual fee, but if you travel often, the benefits can be worth the cost. One of the best features of a premium co-branded airline card is the ability to earn miles towards elite status, and the United MileagePlus Club card doesn’t allow you to do that. The Delta Reserve card is best for this, particularly if you can spend $60,000 a year. If you do, you’ll get Silver status without even flying. The United card comes with a few unique benefits. You’ll get 1.5 miles per dollar spent on all non-United purchases, and elite status with Hyatt and Hertz. Those are nice perks, but I think I’d rather earn elite qualifying miles. The full lounge memberships you get with United and American are better than the partial access you get with the Delta card. It’s a great to have access to partner lounges and to be able to use a lounge no matter what airline you’re flying on. But the annual companion ticket you get with the Delta Reserve card more than makes up for a few lounge fees if you happen to have to pay for access on a few trips. It can be a very valuable perk, particularly if you’re flying in first on an expensive route. The AAdvantage card’s only real advantage over the Delta card is its notably bigger sign-up bonus. Those 50,000 miles can be worth quite a bit if you shop carefully, but you’ll only get that bonus once.